Hey, everyone! Today I’m super excited to participate in the blog tour for The Whispers by Greg Howard, a moving LGBT middle grade debut released on January 15th and available in stores and online. Check out the book teaser below, then read a guest post by the author on queer representation in middle grade fiction. Eleven-year-old Riley believes in the whispers, magical fairies that will grant you wishes if you leave them tributes. Riley has a lot of wishes. He wishes bullies at school would stop picking on him. He wishes Dylan, his 8th grade crush, liked him, and Riley wishes he would stop wetting the bed. But most of all, Riley wishes for his mom to come back home. She disappeared a few months ago, and Riley is determined to crack the case. He even meets with a detective, Frank, to go over his witness statement time and time again. Frustrated with the lack of progress in the investigation, Riley decides to take matters into his own hands. So he goes on a camping trip with his friend Gary to find the whispers and ask them to bring his mom back home. But Riley doesn’t realize the trip will shake the foundation of everything that he believes in forever. The Whispers is a middle grade novel that features a queer protagonist. What influenced you to write LGBTQ middle grade and what are some of the positives or challenges of writing in this genre? Do you have any LGBTQ middle grade book recommendations? Like Riley, the main character in The Whispers, I grew up a queer kid in the rural deep South. When I was Riley’s age, I never saw myself in books, television, or movies and that was very lonely and isolating. I sometimes thought I was the only little boy in the world who liked other boys instead of girls. While this story was first and foremost inspired by my mother, I also wanted to write it for all the queer kids still living out there in areas where they feel they must hide who they really are. I want them to feel seen, represented, and understand that they matter. If I can just reach a handful of those kids with Riley’s message of hope, then I will be thrilled. The biggest challenge when writing for this age group however, is getting a book past the gatekeepers and into the hands of the kids who need it the most. Fortunately, librarians are some of the most progressive thinkers I’ve met. While LGBTQ kids are still massively underrepresented in middle grade fiction in comparison to young adult, a few of my favorites are The Best Man by Richard Peck, George by Alex Gino, and Better Nate Than Ever by Tim Federle. Thanks so much for your insights on LGBT middle grade fiction and for sharing more about your inspiration for Riley’s character! 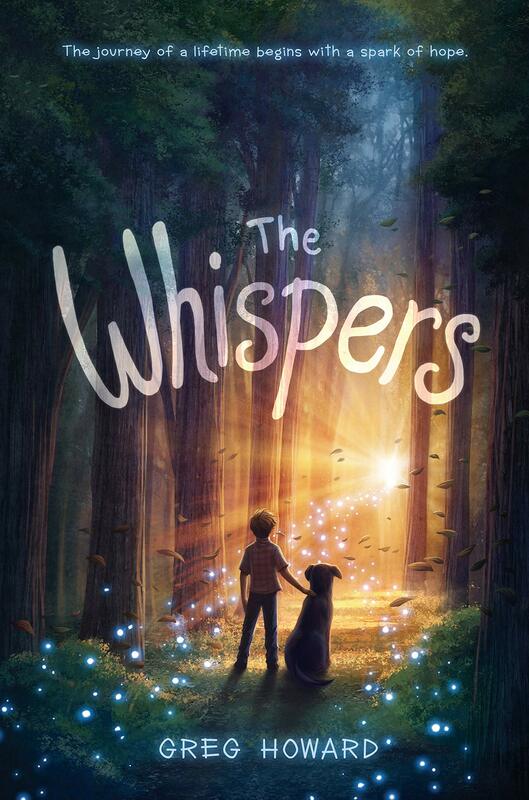 The Whispers is a middle grade debut that’s a heartrending coming-of-age tale, perfect for fans of Bridge to Terabithia and Counting By 7s. If you want to catch up on the tour’s stops so far, check out the blog posts below! Oh I’ve been meaning o read From Night Owl to Dogfish! What’s Flying Lessons and Other Stories About? It’s a short story collection by a bunch of different authors, all centred around diverse characters! Ooh that’s awesome Alex, hope you like it!